When choosing the correct flashing to protect your cladding from the harsh Australian environment, you’ll need to select a piece that both fits the project and looks good doing it. When undertaking a DIY job, you won’t have any backup if you don’t seek out pertinent information in order to purchase the correct flashing for the occasion. For this reason, it’s hugely important that you’re familiar with each step of the process, from selection to installation. In this guide, we’ll be giving a comprehensive rundown on which flashing to use in a large amount of common projects and scenarios using Titan Lite’s Tidy Flashings range as our baseline. Titan Lite specialises in easily assembled shed parts, and has a range of options suitable for any project, from a conventional shed to a dog kennel. Flashing is your building’s main source of protection against water, forming a progressive barrier around the edges of cladding. It’s usually made of galvanised metals, but can also be found as aluminium, plastic, and occasionally other metals such as copper. The main advantage of galvanised metals is their extreme durability; they’ll never break on you, and have a functional life 10-40x longer than unprotected steel, up to 50 years before requiring a first maintenance. The case for aluminium lies in its ease of installation, as it’s a very flexible material relative to its tensile strength. However, while it’s perfectly functional, you’ll be sacrificing stability in order to make a slightly easier installation process. 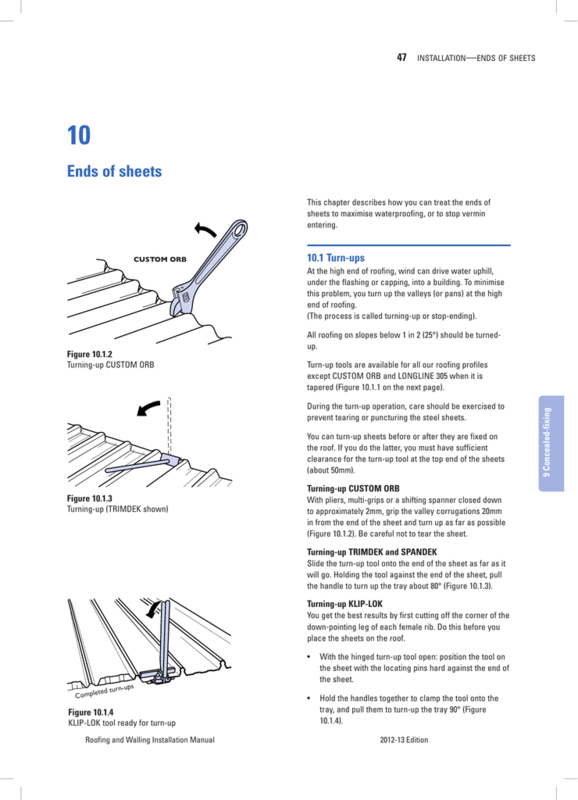 It’s important to note a few things if you are using galvanized metal such as the steel found in the tidy flashings range. Firstly, you should avoid it if you’re going to be ‘pick and mixing’ a lot of different types of metal (eg. if the flashing will be placed directly upon copper), or use an insulator to separate them so that no contact is achieved. Separate metals touching such as this can speed up the degradation of the metallic coating. Secondly, you shouldn’t clean with abrasive cleaning products such as steel wool, as this will destroy the patina. Instead, wash with warm water. Installing flashing isn’t a particularly tricky job, but remember to always budget 10 to 20% more material than you’ll need (10% for a small project where there won’t be much wastage, but 20% for larger ones). It’s inevitably better to have too much than too little, and any excess flashing can be either repurposed, sold, or kept for your next project. Now that we have some basics down, let's introduce the specific types of flashing that you’re likely to be working with. As flashing has to cover and protect against gaps on the walls, ceilings, doors, windows, and the roof itself, there’s are a lot of different forms that it can take. In order to situate ourselves, let’s go through the entire comprehensive list of flashings in the tidy flashing range, and how they correspond to the parts of any project. The tidy range has been made to fit both kit and custom shed structures, and each piece corresponds geographically to a section of building, rather than only being suitable for slotting into a kit. Personal access doors - regular personnel doors, as distinct from the roller doors often found within our range of sheds - represent one of the easiest points of entry for water seepage and leakage. The mere fact of them opening and shutting already presents a problem for waterproofing, but depending on material and fit (if you’re not using a prebuilt kit), you might also have additional issues crop up later in their life. Door flashing must therefore do the twin job of preventing runoff while not dumping that runoff directly below the doorframe, which means that it is usually focused primarily above the doorframe as a header. If you’re looking for no-nonsense waterproofing that’s quick to install as it is effective, we offer an easy kit specifically for PA doors. One major issue with roller access doors (or RADs) is with the increasing tendency to motorise the opening of the door. As you might imagine, the introduction of electrical parts without sufficient protection can change the threat of water seepage from a chance to lower the conditions of your property, into a fully fledged hazard waiting to happen. Take care when flashing for garage roller doors, as they’re often made out of aluminium. This means that you should consider an insulation layer between the door and flashing in order to fully extend the operational life of the galvanisation coating. Titan Lite offers a simple, easy to install RAD flash solution, both customisable to any product, and the perfect counterpart to our own series of roller access doors. In a more generic sense, headers are used to apply flashing to a large amount of different doors and windows. If you’re working with a model that isn’t a standard kit-size door, roller door, or window, then this will invariably be what you’ll be looking to use. Bringing up the bottom of the section, sill flashing prevents excess water from leaking in at the bottom of doors and windows through a squash fold. This is designed to both prevent water from getting in, as well as attempting to prevent water from pooling in and around the door or window frame. Many DIY enthusiasts forget to install flashing in the sills of their windows, as a large amount of any falling water will be caught by the header, and the bottom may often be purposefully open. However, the bottom join represents a major structural fault for water seepage by necessitation of design, and a failure to cover it adequately will invariably lead to severe degradation in a handful of the time. Barge flashing fulfills one of the most important jobs in waterproofing your project; it forms a protective barrier between the materials that comprise the wall sheeting and that of the roof. Effectively, it works as a sealing layer that stops water from seeping in under the lowermost material, potentially undermining and degrading both. It also marks a highly visible, definite line between the wall and roof, making it one of the more important flashing pieces if you’re worried about making your shed look good; if that sounds like you, try and keep as much forethought on colour and suitability for this one as possible. This is a staple purchase for anybody building a 3D project that needs waterproofing, unless they’re going for a very specific structural type. A flat roof without adequate flashing can be a nightmare, as there’s so much sheer potential for leakage and buckling when not maintained correctly. Without gravity to aid runoff, any problems with seepage will manifest doubly in a flat roof than a curved one; you’ll certainly be wanting to invest in specific flashing for the roof type if you’re thinking of constructing a project with a flat roof. Probably the most obvious place requiring flashing on a shed is that of the sheet ends, which need to join onto their respective side without inviting water leakage between them. This is usually achieved by using sheet end flashing to bridge the gap. When flashing the sheet ends, it’s important to check whether your specifications call for the edges to be turned up. In some sheets, under DIY conditions, it is encouraged to take a pair of pliers to the depression of the edge of the sheet and forcibly drag the tips upwards. This prevents wind from driving water upwards underneath the flashing, circumventing the conventional design, and is usually done on slopes below 25°, but you should check your specifications before performing such an action. Mullion flashing protects the columns (mullions) that form the divisions between sections upon gable-end walls of structures, and upon which the wall sheeting is supported. They’re usually most prevalent in RAD-opened garages, but can also be found in some windows and a few traditional structures. This isn’t a task that comes easily, and they must be supported with additional flashing in order to waterproof the gables from internal seepage. This is separate from any flashing that might occur nearby the mullion, such as door header or sill flashing. When it comes to cladding, we offer best protection against the elements, with a full range of galvanised steel available in 23 base colours to suit any need. Remember to buy Titan Lite when purchasing parts for your next DIY or construction project. All of our parts are made in Australia, through our Brisbane factory, and can be delivered directly to your home or job site. If you’d like to purchase an order, you can browse our entire flashings line here.